Israeli Rabbi Yisrael Rutman talks about the importance of kindness in Jewish religion and culture. The secular Jewish citizens are prone to kindness, but are also very concerned about not being taken or hoodwinked. If someone does a good turn for someone who really doesn’t need it, that is cause for derision from observers, and they get a great laugh out of it. 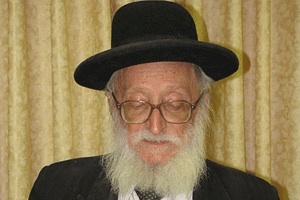 Jews of faith, in contrast, are concerned to do kindness no matter what, emulating Abraham, who set up refreshment tents in the dessert–the forerunners of fast food, says the Rabbi–and when people would thank him he would tell them that the ultimate source of provisions was God, a Sunday breakfast mission model. Anyway, the religion that Jesus embraced had/has kindness at its core. You wouldn’t know that by observing life in many or most churches that claim to live by Jesus’ example, but that topic is for another sermon–maybe (as in “maybe” I can make myself wait to preach on the legacy of Pastor Fred Phelps of Westboro Baptist Church fame!). February 10-16 of this year was International Random Acts of Kindness week. Who knew? I only discovered this a day or two ago since no one was kind enough to let me know about such an important celebration. It’s been a few years since I first saw the phrase “random acts of kindness.” It was on a billboard near my church in Baltimore, and the whole message read: “Perform Random Acts of Kindness and Senseless Acts of Beauty.” This concept has really stuck with me. I hope it has helped to make me a kinder person. I don’t think life in the modern world is making us kinder; sadly, I think it’s making us–unless we struggle against the flow– more suspicious and defensive and, thus, irritable and angry. A modern person’s survival motto might well be: “I’m gonna cut you off or tell you off before you have a chance to cause me any trouble.” Being mean protects our vulnerability; being kind leaves it open and positioned for attack. Maybe some people out there somewhere, certainly not any of us, need more motivation to give kindness a try or a retry after having been hurt specifically for trying to be kind. This could be the practical motivation you need. According to British researchers, kindness breeds longevity. “People who practice kindness and compassion have better general health and live longer,” they say. 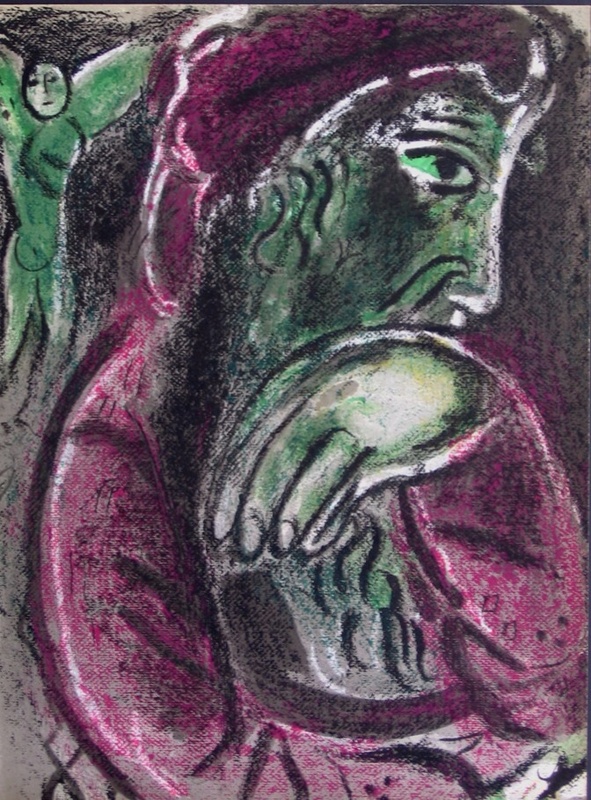 David was one of King Saul’s most trusted servants, clearly in the inner circle for several reasons, and David believed he had never given Saul reason to think that he, David, would do anything to harm Saul or the relationship that he had with the King he respected as his national leader whom God Godself had appointed to be in this kingly role. The possibility, though, of having a subject who seemed loyal to turn suddenly and violently against someone in power was not something Saul just dreamed up; this was a constant concern for leaders in the ancient world. Hmmmm, the modern world too, huh? Saul became jealous of David’s growing popularity, and with the jealousy came anxiety, fear, paranoia that David would try to get rid of him so that David could claim the throne for himself. From the information we have available we shouldn’t think of David as some sort of paragon of virtue across the board. Nonetheless, David was officially a loyal subject to Saul; still, Saul became convinced that David was not what he appeared to be. So, the fearful and angst-ridden King of Israel put together a little army of 300 of his finest men to apprehend David and put him to death. David, in response, had no choice but to run and hide. Fortunately for David there were lots of hills and caves in the general vicinity. Saul was so eager to get David out of the picture that he was himself frequently searching alongside his highly trained hit squad. One day, while hot on David’s trail, Saul got tired and wanted a little nap, OR he had to relieve himself. Apparently, the Hebrew text can be taken to mean either. In children’s Sunday School, we will keep it as a nap, but here in big church we can consider the possibility that even renowned leaders must, from time to time, find a way to experience the pause that refreshes. I’m pretty sure it doesn’t have to be either/or so we’re going to be risk-takers, go out on an interpretive limb, and say that while in the cave Saul both relieved himself AND rested a bit. As it turned out, David had a contingent of soldiers traveling with him as well. How the court musician managed to put together a small army is something I can’t understand, but that’s what occurred. Maybe Saul wasn’t being so outlandish in seeing some things about David that caused him to raise an eyebrow. I mean, after a while–and long before the Simply Music harp method–this growing group that David must have met with regularity and pretty quickly had to stop pretending to be David’s music class. OK. OK. You get the picture. So Saul is in a cave, and David’s soldiers tell him that this is the best shot he’s ever going to have to get rid of the King. If he waits, the King may well get rid of him; this is his golden opportunity–no reference back to what Saul might have been doing in the cave. David is incensed. Crazy and crotchety though he may be, Saul is still their God-appointed leader, and they will not harm him even if it means running for who knows how long; however, David did feel the need to make a point with Saul so he enters the cave and finds the King __________–you fill in the blank. If Saul were relieving himself, then he was very engrossed in what he was doing to the extent that he didn’t know David was right beside him in the dark cave; and at this point I’m really hoping Saul is sleeping rather than some of the other options for what he might have been doing when David came upon him. Regardless, David slices off a swatch of one of the King’s garments and hightails it out of there without Saul’s having a clue. When Saul exits the cave, there’s a bit of a shouting match between the two men in which David at a safe distance waves the swatch and says, “Your majesty, look! If I wanted you dead, you wouldn’t be standing here now. I clipped a corner off your garment, and I just as easily could have slit your throat.” As the King realized David was telling the truth, there was a tearful recognition of his royal paranoia and a verbal commitment of some sort to try to see to it that their relationship returned to what it had been in the good ol’ days, when kindness had gone both ways. There are lots of lessons we might learn from this cave story, but I’d like for us to use it today as a reminder that there are probably some folks whose paths we have crossed in time gone by–maybe last week, last year, last decade–to whom we could’ve been much kinder than we were in a given moment for whatever reason. Those people may have been family members, friends, strangers with whom we were short or rude or dismissive or out and out mean. Maybe apologies after the fact will help, maybe not, but the best way to do this, to the extent that we are able at all, is to live day by day with kindness as our guide, to live with kindness as our way of life. I had a student a couple of semesters back who didn’t have any classroom manners at all, and at first I sort of tried to deal with the fact that he spoke out loud in the middle of my lectures as if talking to himself and with his talking over his classmates whom he regularly interrupted with information that was largely unrelated to what was being talked about. I’d received no notice of learning differences from the academic affairs office so assumed he was just rude. I kept thinking to myself during his monologues that this behavior could best be fixed with kindness and gentle humor if possible. Didn’t work. By the end of the second class session, I’d pretty much had it, and my inner kindness resources were all used up. Same with his classmates who were giving up on trying to ask questions or make observations. I still determined that losing my cool or being abrupt with him–and he was a young adult, not a kid–could lead to nothing good. I didn’t call up that patience from within myself really. I suddenly was aware of two of my grad school professors, teaching in the same department; one was unfailingly kind, and the other was dependably unkind. There was no doubt that students learned much more from the prof who was always kind to them, even though his classroom manner was less engaging than the rude guy’s when he wasn’t be a jerk to one of his students. I thought about that contrast a lot, and it was always clear to me which of those two I wanted to emulate if I ever became a professor. How, though? Perhaps Dr. Cox was so kind because he was confident of his knowledge, AND he was at peace with himself. Not by accident, he became my major professor, and without being a pushover in any sense his kindness continued through seminars, research, dissertation writing, and oral exams. I cannot praise him enough. A key part of spirituality, don’t you think, is being at peace, which allows us to be gentle with ourselves? Oh, sure, there have been and there are so called “spiritualities,” which were/are nothing more than channels for self-hatred and self-condemnation, ways to beg for divine forgiveness and seek protection from the elements or any other curveballs that life can throw. It’s so sad that so many are thusly engaged. If we are looking for a healthy spirituality we have to start with kindness to ourselves, wanting the best for ourselves, wanting to be whole within ourselves. 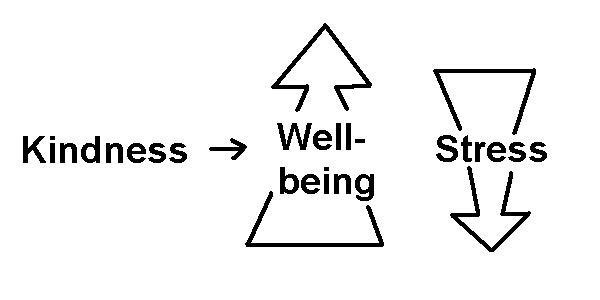 Mindfulness is as far as I know the latest and best way of trying to understand what’s at the core of any spirituality; mindfulness is fundamentally a kindness to self–honoring who I am in the present moment. I don’t think it’s possible for most people–certainly there would be exceptions–to be kind to others unless they are kind to themselves. Those who tend to be unkind to themselves often pass that lack of kindness on to others. Again I say there are exceptions; some folks who are very tough on themselves somehow find it possible to be kind to others. For most of us, though, self-kindness leads to kindness in relationship to others. The more at peace we are with ourselves, the more we can pass on kindness, and I don’t mean to imply that the only good reason to be kind to ourselves is so that we can be kind to others. I’m going to be a healthier person if I manage to be kind even when someone is giving me a reason not to be. That’s worth remembering even at church. Some churches are not known for kindness, sad to say. I was trying to learn something about YouTube recently when I stumbled across a video clip of a fist fight in a Samoan church. There are probably more instances of that than are ever reported. You’d think in church of all places kindness would prevail, but I heard about someone not so long ago who left a church because of how unkind the members were in their conversations with each other. 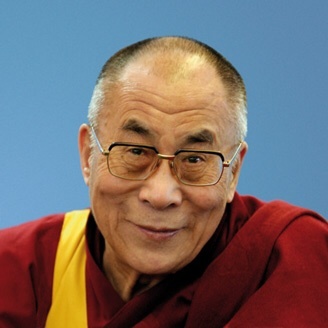 I highly recommend to you that you lean toward the Dalai Lama’s way of thinking here and not mine! But if you falter, as did Saul, only risking an apology and a fresh start will do. I may not be able to offer those, however, until I learn first to be kind to me. My pal Arbender Robinson who sings and acts and dances on Broadway and who has given a wonderful concert here texted me the other day to tell me that he was on a train, on his way to rehearsals for his new show, “Les Mis,” when at a stop he heard a horrible explosion. In the next seconds, within his range of vision, there was smoke. Now, most of us know that what he was close to on that train was the tragic East Harlem explosion, which as of last night had left eight people dead and seventy injured. Those who died as a result of unattended to natural gas leaks are: George Amadeo, Griselde Camacho, Rosaura Hernandez and her mother Rosaura Vazquez, Andreas Panagopoulos, Alexis Salas, Carmen Tanco, and one more victim who has yet to be identified as best I can research. I hope the shrinking of the world in terms of how quickly we can know of an experience had by someone thousands of miles from us, good experiences and bad ones, is making us more sensitive rather than more callous to the challenges of our sisters and brothers in the human family. I fear that for many people, however, callousness is in the lead. I say this not because it’s so easy to take a broad swipe at human frailty and fault, which is how some preachers and religious groups keep themselves on the map, but because after so much negative anything emotional survival–most often subconsciously–presses us to become callous to protect ourselves. 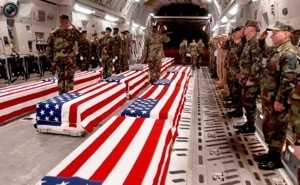 When the bodies of the first casualties began to be sent home from the military engagements in Iraq, some reporters with photographers accompanying them showed up at Dover Air Force Base, for example, to take pictures of flag-draped caskets, end to end in the entrails of cargo planes. When these pictures hit the print and online news sources there was immediate objection–not at first from the rank and file news consumer, but from the Department of Defense, if not the White House. The cabinet secretary for that department scolded the reporters and photographers who dared to show us and our fellow citizens what was really happening as a result of noble-sounding Operation Iraqi Freedom. Rumsfeld and the military industrial complex, to use President Eisenhower’s designation, tried to crush, without shame, freedom of the press. Indeed, photographing and publishing pictures of the bodies themselves would have been both invasive and grotesque. But the only objection the political power people could offer in their defense, no pun intended, was–when deciphered–fear that making the loss of life too real would cause the American public to oppose the nicely-named war. The pictures continued to be published, and the only way not to know what was really happening was to play ostrich. Simultaneous to the pictures, news sources in localities from which the deceased military personnel had hailed began to print and speak the names of the dead–yet another way to keep those in denial about the true cost of the drive to eradicate weapons of mass destruction that didn’t exist focused on reality. 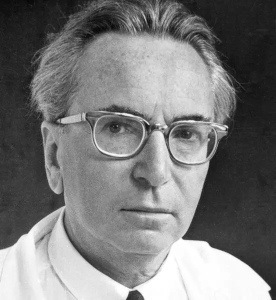 Holocaust survivor, psychiatrist Viktor Frankl, recalled in his riveting retrospective on how he survived emotionally as a prisoner of the Nazis, titled Man’s Search for Meaning, his arrival at the first of four concentration camps in which he was tortured prior to liberation. What happened immediately upon entry into the camp was that males were sent in one direction and females in another. Then, everything he brought with him that could be taken away was–his clothing, a manuscript containing the results of his life’s work to that point, his hair (since they shaved all of it all off), and finally his name, which was replaced by a number tattooed onto his body. And all people to whom he was accountable for the next three years made a point never to use his name. Like Jean Valjean in Hugo’s Les Miserables, Frankl was truly only a number. There was nothing accidental about that part of protocol for the treatment of Jewish and other concentration camp prisoners. If we visit a Holocaust Memorial today we will see disturbing photographs and read or hear stories that make us wonder how far the definition for “human” can be stretched. Those parts of the exhibits may change from time to time, but insofar as space permits what will not change is the display of the names of those who died at the hands of Hitler’s minions. The Nazis would have had all of those executed remain anonymous in death and mass grave burial as in concentration camp life (“life” being too optimistic a word for existence in concentration camps). The survivors wouldn’t have it. Same with Vietnam vets and Vietnam Memorials, for example. I saw under the altar [in heaven] the souls of those who had been slaughtered for the word of God and for the testimony they had given; they cried out with a loud voice, “Sovereign Lord, holy and true, how long will it be before you judge and avenge our blood on the inhabitants of the earth?” They were each given a white robe and told to rest a little longer, until the number [of martyrs] would be complete…. These martyrs were nameless, anonymous. The fear of the anonymity of their loved ones who’d died at the hand of megalomaniac Domitian disturbed the loved ones they left behind almost as much as the deaths themselves. They couldn’t bear the thought that the wicked Emperor would succeed not only in stealing the lives of their loved ones, but also doing his best to keep their names from being known by anyone who didn’t already know them. The writer of the book of Revelation is trying to show those worried about this matter that in heaven their dear ones commune with God, are attended to by God, and are known by God. God knows the name of each one. Domitian may have treated them as if they were nameless nobodies, but their loved ones would not forget them on earth–that is basic to honoring those who have died; and in heaven God Godself knew each one by name and knew as well the horrors each one had suffered in an attempt to be faithful to God under the rule of a madman. The Jews and their half-siblings, the Arabs, in their heritage identify with the land and value passionately, to say the least, the land that is theirs. If this were not the case, I believe there would be little reason for the Israelis and the Palestinians to keep their wars with each other going today. I am not snubbing the Palestinians in any way, but for today am only focussing on the Jews. The Jews from the earliest recorded encounters of ancient Hebrews with God took note of the exact place at which someone believed she or he had had a direct encounter with the God of Abraham, Ishmael, and Isaac; the God of Sarah, Aisha and Fatima, Leah and Rachel. In fact, yet today, the two most holy places by Jews who practice the Jewish religion are are land-based. The first is the Temple Mount in Jerusalem, where their first and second great Temples stood prior to destruction–the first, by the Babylonians; and the second, by the Romans. A third Temple has never been erected. Christian fundamentalists believe the reason is that the third Temple cannot be built until God is ready to signal to humankind that human history is about to come to a close. Ugh! 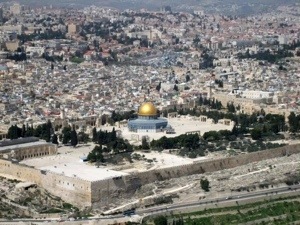 According to journalist Rachael Avraham, “The Jewish people have a historical, religious, spiritual, and national connection to the Temple Mount area dating back to antiquity.” It is taken to have been the location of the creation of Adam and maybe Eve and the site of the planned but thankfully failed sacrifice of Abraham’s son, Isaac, by Abraham himself. In the time of Jesus when the second Temple was still standing, Jews were expected to come to the great Temple in Jerusalem at least three times per year to offer sacrifices. Generally, following the patterns established by their foreparents, all who could did so. The second most holy site on the face of the earth for Jews who practice the Jewish religion is a cave, the Cave of Machpelah, also known as the Cave of the Patriarchs and Matriarchs. 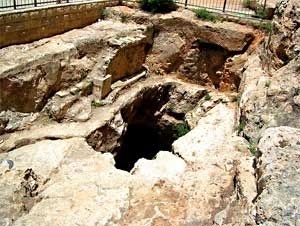 The cave and the adjoining field were purchased by Abraham about 3700 years ago as a place to bury his wife, Sarah, on the occasion of her death; a place for him to be buried when the time came; and a place to bury their family members who would die after them. 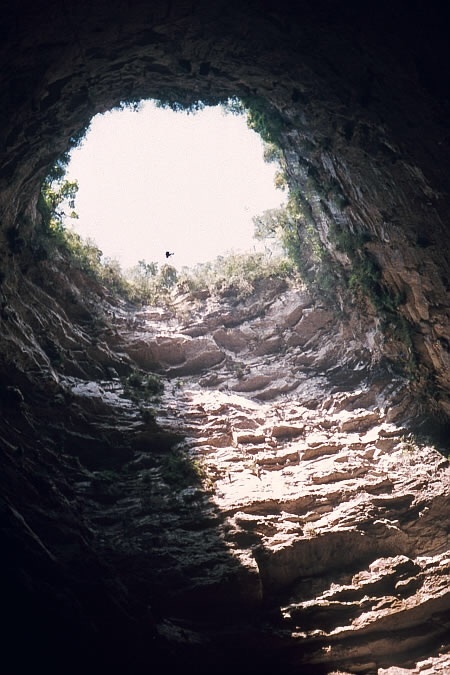 Abraham and Sarah, Isaac and Rebecca, Jacob and Leah are all buried in the Cave of Machpelah. These are considered the patriarchs and matriarchs of the Jewish people. Jacob’s other wife, Rachel, was not buried in the Cave but rather near Bethlehem where she died giving birth to their son, Benjamin. We have heard read a snippet from a more detailed account of the process by which Abraham acquired the Cave and the land nearby. However compact the snippet may have been I hope you heard something of the deep love Abraham had for his wife, Sarah. The land was owned by the Hittites, not the Hebrews; yet, when Abraham explained to the Hittites why he wanted to purchase the cave and surrounding land, the compassionate Hittite spokespersons offered to give him what he was trying to buy. Abraham, determined to honor his beloved Sarah in every way possible, thanked the Hittites, but explained to them that he was an ingrate in any sense he could not bury his beloved in a place given to him, in a place in which he did not invest. He believed he could only bury Sarah in a place that he owned. Otherwise, in his mind he would not be honoring her. 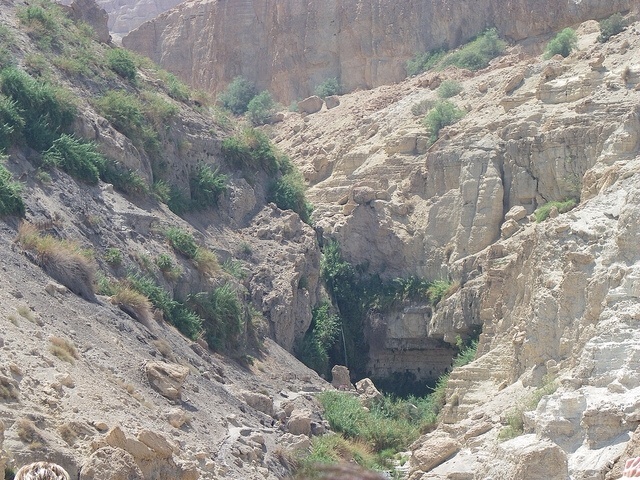 Either way, it would have been the same cave where Sarah’s body would be taken as its final resting place whether it had been given to Abraham or whether he had the bill of sale. Some people might not have seen any difference and therefore might have thought that Abraham should have graciously accepted the generous, thoughtful offer gotten on with his grieving. For Abraham, however, much more was at stake. The gift of a tract of land for gardening or grazing was one thing, something presumably to which he would have been open. His wife, to whom he had been married 113 or 114 years, deserved the best in death as in life, as he saw it. Don’t get stuck on the number of years they were married; after 80 years together, smooth sailing is guaranteed. So, Abraham, insisted on the best he could provide for his wife, even in death. The dynamic was hardly the same as having the funeral director imply in the midst of your heavy grief that if you really loved your departed dear one you would purchase the most expensive casket and all the highest priced funeral service options. A borrowed tomb or a freebie just didn’t suit. He couldn’t see the honor in that. Thus, we have a detailed account of how much was charged and how much was paid without attempts to bargain for a lower price. He paid full market price, and that was quite a story of love and devotion. There are many eccentricities about life and death in New Orleans. I loved that place during my family’s nearly five years there and except for the ways my now ex-wife’s health was challenged by climate I might never have left. One of the city’s traits that immediately stood out to me was the way someone’s, almost anyone’s, departure from this world was dealt with. Some might call the customs ostentatious, but only someone who didn’t understand a typical New Orleanian’s zest for life could think that. A new-comer probably first became aware of the local ways of honoring the dead by an encounter with one of the treasured sites of entombment that long ago got the designation “cities of the dead.” Since underground burial of caskets or urns is not possible in a city built below “sea” level, only above ground options for interment are possible. Enter any of the cities of the dead, and you will see rusty decorative wrought iron. If it’s a sunny day, you are likely to be nearly blinded by the white-white sun-bleached tombs. Crosses and statues, in that heavily Roman Catholic city, cast contorted shadows. Those entering the cities of the dead on holidays will see votive candles in all kinds of wind-proof holders calling attention to certain tombs and reminding observers that those buried in those particular tombs have living relatives who are physically able to continue to show their concern through the lighting of those candles. In those cities of the dead, both the largely unknown and the celebrities are buried–pirates, politicians, and voodoo queens not infrequently next to each other. For those with limited funds, economical vaults are used and stacked on top of of each other. 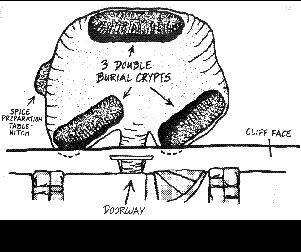 Wealthier families can afford larger, elaborate tombs with crypts. 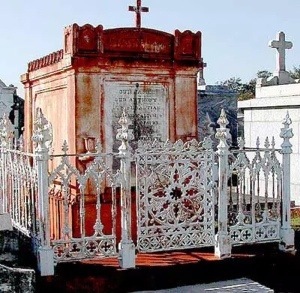 Many whole-family tombs look like miniature houses, enclosed with iron fences. 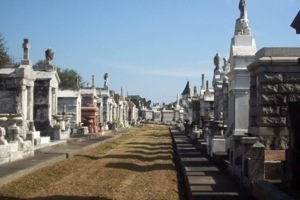 The walkways in front of the rows of tombs resemble streets. Little houses, fences, and streets–no wonder these final resting places became known as cities of the dead. At one time, as I understand it, almost everyone’s casket or cremains was carried or drawn to a cemetery in a parade. In time, the more well-to-do citizens’ caskets or cremains would be driven to a tomb or mausoleum amid an impressive motorcade in which the preacher or priest or rabbi rode in the limousine provided solely for her or him. This country boy thought I’d wandered into the high cotton for sure the first time a limo driver arrived at my church office to collect me and then drive me in a stretch limo about a mile down St. Charles Avenue to the funeral home where only the most prominent citizens were mourned and celebrated. The less prominent citizen would not be overlooked at the time of death, though. It was a way of life to be stopped in your vehicle now and then, for up to half an hour, while a funeral parade made its way from a church or home to a cemetery. Even if the band were only a squeaky clarinet, a trumpet, a trombone, and a banjo–players decked out in tuxes and top hats–there it was; someone for whom the bell had tolled was on her or his way to a modest site for earthly rest, and busy people like me just had to wait through several rounds of “Just a Closer Walk with Thee” interwoven with “When the Saints Go Marching In.” The family was honoring its dead loved one, and for the moment nothing else in all of New Orleans was more important. The finest way to honor those whom we love is to cherish them moment by moment as they live and then when they have “graduated” to the realm of higher consciousness–as thanatologist Elizabeth Kubler-Ross put it–celebrate them. A tangible expression of that celebration of life may be a lasting visual of some sort–interment in a named family plot, placement of a grave stone or a memorial plaque, and so on–but none of that name remembrance will have much meaning unless done out of love and not mere duty. My ex-wife used to say in the midst of our unsuccessful attempts to resolve conflict that I was a blamer. By that she meant when something went wrong I wanted to know who was responsible. She thought once something had been done, even if it were a mistake or a mess, that who did it didn’t matter; all that mattered was resolution or cleanup will take place. I did not overlook the importance of cleaning up and such, but I wanted to know who was responsible so that we could negotiate-and I say that in the nicest possible way–a way for this not to happen again in the future. I don’t know if what she said was on target or exaggerated. I know I have no interest in graveling apologies, but I do appreciate when there’s a problem if someone had a hand in creating it she or he acknowledge complicity; and we move on from there. If I am at fault, and I certainly make tons of mistakes–thanks for acting surprised–then I need to be able to accept responsibility for them. When I done something that disturbed or hurt someone, then it’s especially important for me to offer an apology of some sort indicating I know I was involved and that I regret it. If I am a blamer, as my ex-wife lovingly suggested, and this reflects my psychological makeup, then my theological makeup is at the opposite end of the continuum. This is to say there is never any reason to ask why the big bad things happen in life or the big good things for that matter. Plenty of thoughtfully religious folk think there is reason to embrace the belief that God caused tragedies and triumphs, willed then, or allowed them and should therefore be praised for divinely impeccable insights or actions. One of my seminary students who is also studying in a hospital setting this term was told recently by his chaplain supervisor not to pray aloud for healing with patients who are seriously ill. The chaplain explained by saying the reason is that when you do this you are implying that God has the capacity, the wherewithal, to heal somebody who is critically ill and will do so if God wants. If things don’t turn out toward healing, the patient may feel frustration, defeat, confused. 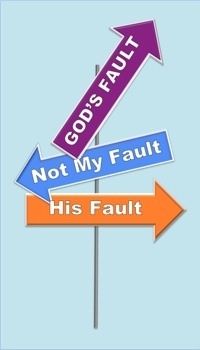 God gets the blame…for what God could have done but refused to do. It was a wise thing for the chaplain to have pointed out to my student, by the way. I told him I agreed with what the chaplain instructed him to do or avoid doing. 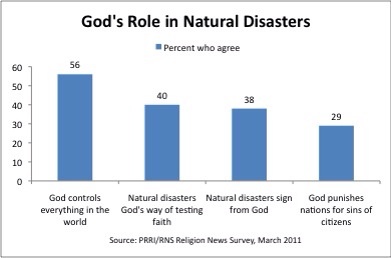 This business of blaming God for disaster is its own kind of disaster. When we determine that God is in any way calling all the shots as history unfolds then we have ourselves a problem; one that is long established and never solved. The book of Job in Hebrew Scripture is a grand piece of literature. It is complex. It is multi-layered. It is disturbing, but it has captured the attention of people throughout the centuries from the time it began being edited over a period of years with three or four writers contributing before the final draft was in place. If you’ve ever heard anybody slapped with life crisis upon life crisis say, “I feel feel like Job,” the central character in this drama is the person with whom they are comparing themselves. The book has captivated attention from its initial circulation. Archibald MacLeish used it as the basis of his Pulitzer Prize winning play, “JB.” The original Hebrew play takes, on the surface, the widely held Hebrew theological perspective that God is in control of all good and bad that happens to individuals and nations; however, there is some questioning of that view. Such a horrible, emotionally destructive way to look at life’s tragedies, it’s hard for me to imagine why anyone hangs onto it. Were the perspective accurate, I’d think this would be enough to drive any thinking person away from God except out of fear and the need to please God in the hopes of staying off God’s hit list. In short, the most horrible tragedies befall Job and his loved ones, one after another, and to make matters worse God is clearly shown as having been involved in allowing those attacks to befall the Job family, which is exactly what most of the people hearing the story read or the play performed would have felt during the times that the book of Job was being composed and compiled. To challenge the unexamined acceptance of such a theological notion, the drama portrays a God who would allow such horrors in the world to be careless about it all, at least in the case of the Job family. God has a chum whose name is never given; he is simply referred to “ha satan,” the satan–that is, the adversary. “Satan” is not a name. “Satan” is a description of this crony of God who interacts with God as if a poker buddy. There are several reasons we know that the adversary in Job is not a devil, and the main reason is that no doctrine of devils or a hell had evolved at this point in time. If you believe that God makes your life miserable when it is miserable–then you don’t need a devil in this world. So, the tragedies caused by the adversary pellet Job–loss of property, loss of loved ones, loss of health. Job is left a truly miserable person–emotionally, physically, spiritually. In this low point in life, there are ongoing conversations with his so called friends and with his wife who were trying it seemed on the surface, to get him to a better place. The friends voice the traditional theological perspectives from differing angles. God caused these losses. You must have displeased God. You’d better get right with God by seeing forgiveness, or God will keep hammering you with more calamities. Job’s wife, the only one of his loved ones not to have been wiped out in one of the attacks arranged by the adversary is a voice reason in the drama, and the only source of reason anywhere near Job in his suffering. She insists on honesty and reason in responding to all he has lost at God’s hand, they think. 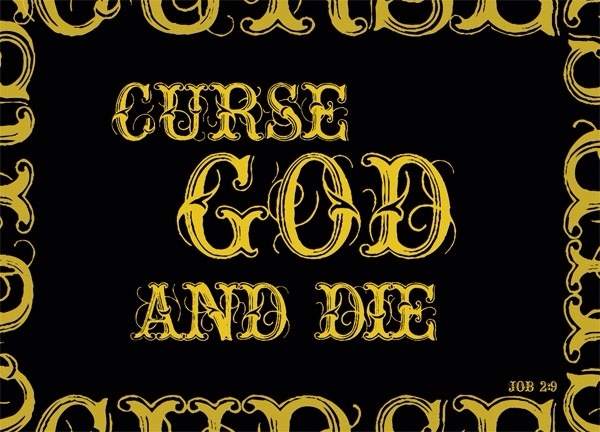 At one point, Mrs. Job says to her husband, “If God is the God that you have believed in and honored and loved, and this God causes you, causes us, such unspeakable tragedy, then you should just curse God and die. With your integrity, there is no other pathway open to you.” I think his wife was right on target because she was asking him to consider getting rid of his pain once and for all in the only way anyone could be sure not to be God’s moving target for another round of divine fun and games. 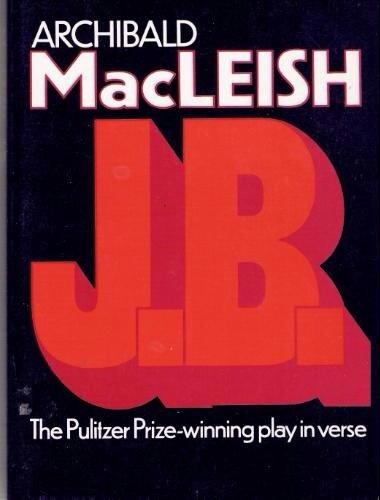 In MacLeish’s play, “J.B.,” Job is a devout, wealthy, and charitable businessman who loses everything. Angry that her husband won’t impugn the God who causes such suffering she deserts Job. I have to tell you, in this entire set of fictional reflections and fictional characters I really like Mrs. Job the most. She’s my favorite character in the story. Job, my heart goes out to him, and I think he’s a genuine seeker trapped in traditionalism, but I like the Mrs. the most. I also love that the writers that far back and in the cultures that produced the book of Job caused the only voice of reason in the whole mix to be a woman’s voice. There was much more to her than old wives’ tales. “If your God has it in for you and won’t let up, then the only way you can escape pain upon paid with no end anticipated is to end your life–curse God and die,” she said to her husband. You may know the story of when David who would become the king of Israel was still a shepherd boy and a gifted harp player he was brought to Saul, the king of Israel, because Saul had some chronic emotional challenges that the harp music helped to calm. After a trial run, David was brought in full time as THE court musician, and Saul grows to love David, as does Saul’s son, Jonathan; many of Saul’s advisors; and more than a few of the rank and file subject of the kingdom. In time, some are saying aloud that when Saul retires, which maybe should be sooner rather than later, David would make a better king than Jonathan would make. In a very personal conversation, Jonathan himself said as much directly to his beloved David. In time, Saul became insanely jealous of David’s popularity, and he did what was well within his rights as monarch–set out to kill the one whom he perceived to be the competition. David hears about what is going on and is able to make a great getaway, but Saul with his special ops people make David’s life on the run miserable. David found himself frustrated and fearful, far removed from palace comforts and frequently foundering around in caves. Believing as did most of his Hebrew contemporaries that God called all the shots, as we’ve seen painfully played out in Job, David is upset with God for failing to rescue him. In a cave, he complains to God about his plight. If I cannot enhance my wholeness, which is the goal of healthy spirituality, because I am in some sort of negative association with God–whether God is perceived as energy, being, force–then nothing beneficial is going to come as a result of my efforts. Whatever God is and however I am trying to unite myself with the core positive part of the universe God cannot be an antagonistic and threatening force in my mind. Forget an angry god. Forget a punitive God. Forget a capricious God. Forget a God who goes to sleep on the job. Forget a God who causes plane crashes and tsunamis and dreadful diseases and war. I’m serious. For your health, you must forget about a God who is so destructive. Probably more people wrestle with this issue than any other upheaval. 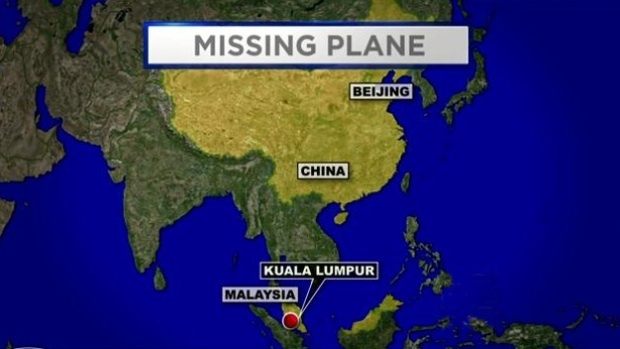 At the moment, worldwide, anybody who cares about human suffering is preoccupied with the missing Malaysian jet. 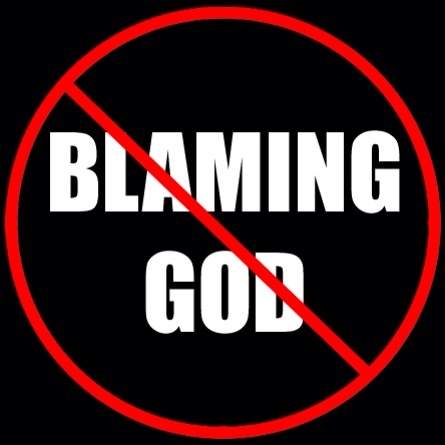 Blamers are blaming God or praising God depending on point of view for the massive suffering and loss. 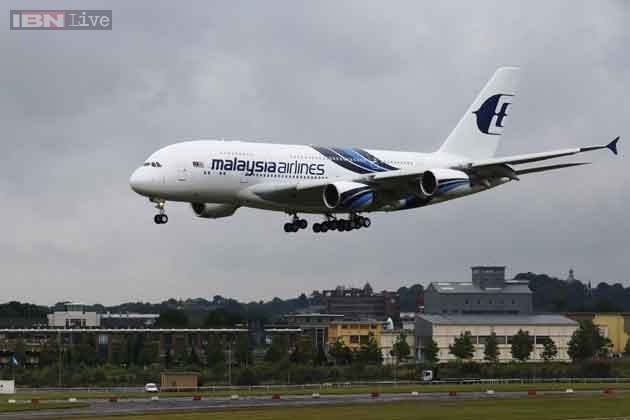 I think it was in a BBC update where I read that in Malaysia’s capital city, Kuala Lumpur, a police officer by the name of Hamid Ramlan, told reporters that his daughter and son-in-law had boarded that plane, intending to take some holiday time Beijing. “My wife is crying,” he said. “Everyone is sad. My house has become a place of mourning. This is Allah’s will. We have to accept it.” Allah’s will huh? God willed this disappearance of this plane? Of course not. How crass and uncaring, though, were we to be critical of this sincere man who is beginning to wrestle with what may well become staggering grief. I do point out, though, that he is one, alongside countless likeminded others, who believes and takes comfort in the notion that God caused the tragedy. He, for one, has at this point nothing at all to criticize in a God who’d engineer such an episode. All he can do is brace for the final blow.